Traditional concerts held on the night of the Oie’ll Verree have lost favour over the years, although a number still exist in the country parishes, scattered across the calendar. 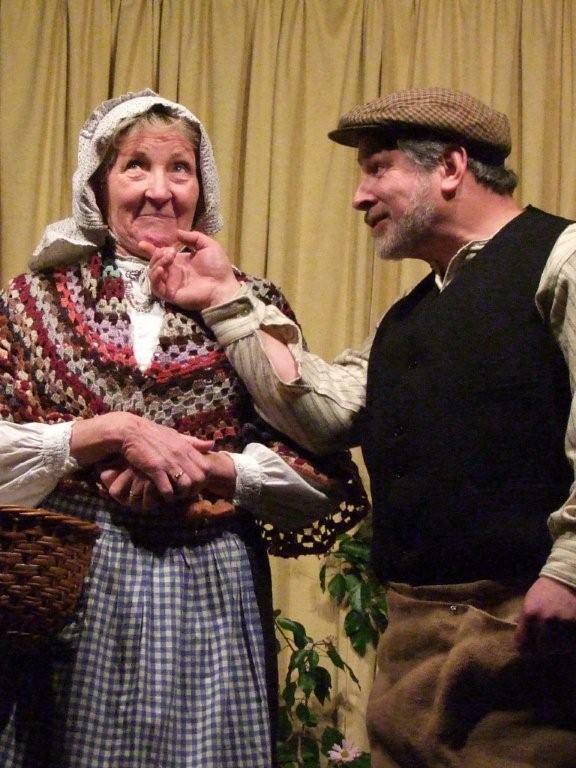 Michael Heritage Trust has kept this tradition alive in the north west of the Island and continues to fill the ‘Ebenezer Hall’, located in the village of Michael, to capacity each year with its varied assortment of entertainment. Its provincial charm is doubtless part of its attraction as members of the audience take part in some communal hymn singing before settling down for the main part of the evening’s entertainment. It’s a trusted format that works well with a selection of entertainers of every generation providing music, dance, recitation and comedy, with Caarjyn Cooidjagh, Pam Evans, dancer Maxine Smalley from northern based group ‘Ny Fennee’, three young Manx musicians from ‘The Reeling Stones’ and a unique contribution of comedy by ‘The Deemsters’. But its main attraction was undoubtedly the hilarious Manx dialect play ‘Yn Blaa Sooree’ (The Courtin’ Flower) acted out by the Michael Players which told the story of a special flower which blossoms once every seven years. This unique bloom holds special properties and arouses long, dormant passion in those who smell its sweet scent. This leads to all sorts of mayhem and amorous escapades, but the story ends with a curious twist which brings village life back to normal. The Michael Players also took the play on tour to Ballabeg later in the week. The evening finished with an extensive home-made supper and the singing of ‘Arrane Oie Vie’ (Goodnight Song).